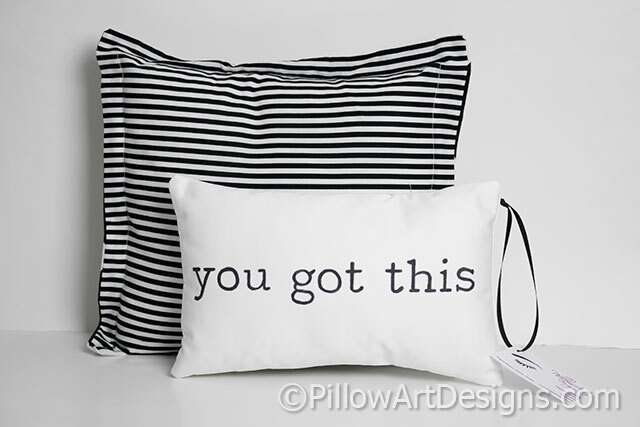 Inspirational pillow with words 'You Got This' painted in black on white cotton twill. Measures approx. 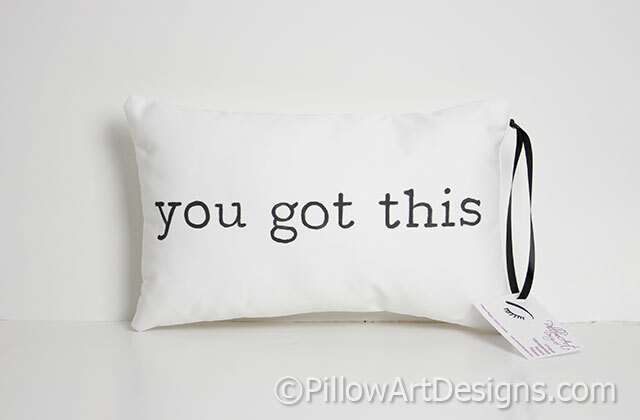 8 inches X 12 inches.